Nestled in the landscape of Westover Hills is Dalian Monterrey Village, a newly constructed community in west San Antonio. Apartments are currently available that offer the newest features and luxurious amenities. In addition to the finely selected offerings inside, residents have easy access to all the major freeways giving them a perfect opportunity to navigate the vast San Antonio culture with ease. Nothing compares to the succulent flavors of Texas barbecue, and Rudy’s Country Store & Bar-B-Q is the best spot in town. Order a few sides of cream corn and bite into the tender cuts of Texas-style brisket. If you crave the bold flavors of Mexican cuisine, visit Viola’s Ventana andenjoy patio dining and authentic cuisine. Shopping for groceries is easy with the nearby H-E-B. 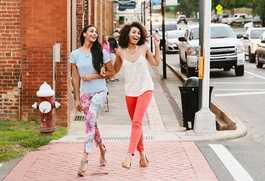 You can take care of all your additional shopping or visit the restaurants and entertainment venues at the Westover Hills Shopping Center. Over the weekend, enjoy a day of outdoor fun at Leon Creek Greenway. Featuring thirteen miles of paved trails, visitors can bike ride, hike or admire the scenery of this beautiful outdoor park. All of this and more will be within arm’s reach when you live at Dalian Monterrey Village. Schedule your tour today to experience the rich lifestyle San Antonio has to offer. Conveniently located just off Hwy 151 on Ingram Road, minutes from Lackland AFB, Sea World, Downtown, Westover Hills and Alamo Ranch. © Copyright 2019. Dalian Monterrey Village. All Rights Reserved.